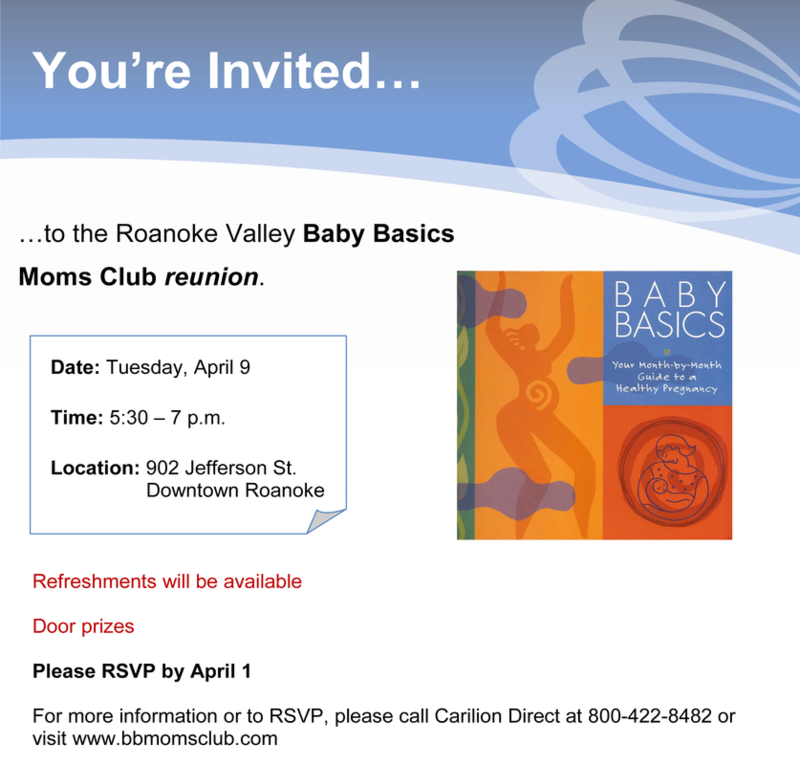 The first Roanoke Moms Club Reunion will be on Tuesday, April 9th, 2013 from 5:30 to 7:00 p.m. at 902 Jefferson St. in downtown Roanoke. If you have been one of our Moms Club participants in the past, or are presently attending, join us for snacks, door prizes and great company. Attendance is free but we do request that you register so we know how many guests to expect. Bring your families, and of course, those adorable babies! We can't wait to see all of you again! We look forward to seeing you and your adorable babies at our very first Roanoke Moms Club Reunion! Moms, Dads, and friends to expect. or call 1-800-422-8482 to RSVP. Yes, I will bring a guest/guests No, I will not be bringing a guest.